How Will the 2017 Spring Budget Affect the UK Construction Industry? Home All Articles How Will the 2017 Spring Budget Affect the UK Construction Industry? 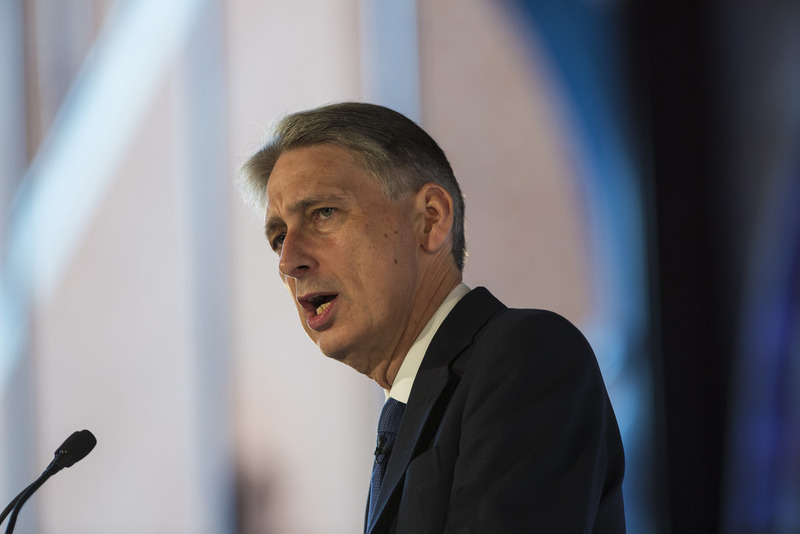 View: What does the chancellor's 2017 Spring Budget mean for the UK construction industry? One of the key dates in the political calendar came and went earlier this month when the Chancellor of the Exchequer, Philip Hammond, delivered his first - and last - Spring Budget. In his Autumn Statement, the Chancellor signalled his intention to move the Budget to the second half of the year, making this latest announcement the last of its kind. Here, we take a look at some of the measures and in particular, how the construction industry will be affected. In a speech lasting 55 minutes - a short one by modern Budget standards - Mr Hammond set out his vision for the UK in the coming years. The forecast for growth increased to 2% for 2017 - up from the initial 1.4% prediction, while borrowing is forecast to come down in 2017 - 18. The biggst story to come out of the Budget turned out to be a policy that lasted only a week. In his wide-ranging speech, Mr Hammond also predicted that a further 650,000 people will be in work by 2021, before moving on to specific measures. The biggest story to come out of the Budget turned out to be a policy that lasted only a week. The planned rise in Class 4 National Insurance Contributions (NICs) brought about the most stinging criticism - from Conservative MPs as well as the general public - because not only was it seen as damaging to the self-employed, it also went directly against the Conservative Party Manifesto which explicitly said there would be no rises in National Insurance. Under the proposals which aimed to raise £145 million a year by 2021 - 22, the rate of Class 4 NICS for those in self employment would have increased from its current rate of 9% to 10% in April 2018 and 11% a year after that. Those earning between £8,060 and £43,000 per year would have been affected. In light of what has emerged as a clear view among colleagues and a significant section of the public, I have decided not to proceed with the Class 4 NIC measure set out in the Budget. "An employee earning £32,000 will incur between him and his employer £6,170 of National Insurance Contributions. A self-employed person earning the equivalent amount will pay just £2,300 - significantly less than half as much. "Historically, the differences in NICs between those in employment and the self-employed reflected differences in state pensions and contributory welfare benefits. "But with the introduction of the new state pension, these difficulties have been substantially reduced." The construction industry is one that relies heavily on people working under the status of self employment and it's not unreasonable to suggest the industry would have been hit. It was predicted freelancers and the self-employed could have been paying an extra £240 each per year, while still not benefiting from either holiday or sick pay. However, after a week of unrelenting criticism - and despite public support from the Prime Minister - the Chancellor has backtracked on the policy. The planned rise in Class 4 National Insurance Contributions (NICs) brought about the most stinging criticism. In a letter to Conservative MPs, he said: "In light of what has emerged as a clear view among colleagues and a significant section of the public, I have decided not to proceed with the Class 4 NIC measure set out in the Budget." Companies that specialise in infrastructure will be buoyed by the news that the Chancellor has allocated funds in order to undertake much needed improvements throughout the country. The road network was high on Mr Hammond's agenda, so much so that he declared the north of England and the Midlands will receive £90 million and £23 million respectively to alleviate the problem of pinch points on their roads. In addition, there will be a £690 million competition fund available to English councils so they can address the problem of urban congestion. The reason for this, Mr Hammond said, is to "get local transport networks moving again." These plans are being put into place as part of the devolution plans. "In May, powerful mayors will be elected in six of our great cities. Across Britain, local areas will take control of their own economic destiny," the Chancellor said. "And we will support them. I can inform the House that I have reached a deal with the Mayor of London on further devolution." There were "2.4 million apprenticeship starts in the last parliament and the launch of the Apprenticeship Levy in April supporting a further three million apprenticeships by 2020. Investment in skills and education is seen by this government as key to an economy that works for everyone. With that in mind, a number of measures to help link skills to jobs were announced. Chief amongst them is the success of the routes into apprenticeships. Ironically falling during National Apprenticeship Week, Mr Hammond was pleased to confirm that there were "2.4 million apprenticeship starts in the last parliament and the launch of the Apprenticeship Levy in April supporting a further three million apprenticeships by 2020." Given the skills shortage in construction, this will be music to the sector's ears, as it is a sound route into the industry, providing the skills needed to succeed. In addition, the Budget saw an alternative technical qualification to A-levels unveiled by the government. T-Levels will be recognised by employers and provide clear routes into work, quality classroom time and valuable work placements. This £500 million funding announced for T-Levels is therefore a welcome and much needed boost. These "game-changing reforms" for 16-19 year old technical students will guarantee they are "work ready" as soon as they qualify. Maintenance loans will be available - a sign, according to the Chancellor, of "putting the next generation first, to safeguard their future, and to secure our economy." How does this affect construction? The Federation of Master Builders (FMB) initially warned the government that the increase in NICs is unhelpful, saying: "Increasing tax on the self-employed is not helpful. If we want to establish a resilient, Brexit-proof economy, we must encourage and support our current and future entrepreneurs in the construction industry and beyond. "The self-employed are the backbone of our economy and the government should tread carefully here." These concerns have been heeded by the Chancellor and given that construction relies on a number of tradespeople who are self-employed, the consequences of this move could have been disastrous. As a result, the U-turn has been welcomed by the FMB, but they accept that discussion is needed about taxation for the self-employed; crucially though, it has to be done in a way that those affected can plan correctly. Brian Berry said: "At a time when we need to do everything we can to ensure economic stability, this would have been a destabilising tax increase which would have hit large numbers of tradespeople on quite modest incomes. "That would have felt very unfair and would have been in danger of undermining the entrepreneurial spirit Britain will need to rely on as we approach the economic uncertainty of Brexit. "There is an important debate to be had about how we ensure an even playing field in the taxation of the self-employed and the directly employed. But we need to do that in a way that allows people to plan ahead and ensures the total package of tax and benefits is fair to the self-employed." The introduction of extra technical qualifications should, on the face of it, be of considerable interest to the construction industry. While this is the case, the FMB said that the new T-Levels must be seen as the same as A-Levels so that technical education is seen in the same light. Despite this, Brian Berry, Chief Executive of the FMB, welcomed this new qualification as something that is necessary in light of skills shortages and the possibility of losing further skilled labour from the EU. He said: "UK society as a whole has been guilty of putting too much emphasis on the academic route - this has made it more difficult for vital sectors like construction and house building to attract the talented new people we need. "In construction we are suffering from a severe skills shortage and this is likely to worsen once we leave the EU and no longer have easy access to European labour. "This £500 million funding announced today for T-Levels is therefore a welcome and much needed boost." In May, powerful mayors will be elected in six of our great cities. Across Britain, local areas will take control of their own economic destiny. Origin, a family-run manufacturing company, said that the introduction of T-Levels will help to not only encourage new people into construction, but "will fill the skills gap that is being created as the older generation retire." "Government can play a role in providing an appropriate landscape for training but long-term solutions to the UK's oft-noted skills gap; the need to promote STEM subjects more greatly in schools and universities; and the attraction of more women into engineering and technical careers can only be delivered effectively through the direction actions and influences of industry, not simply via edicts of the State."